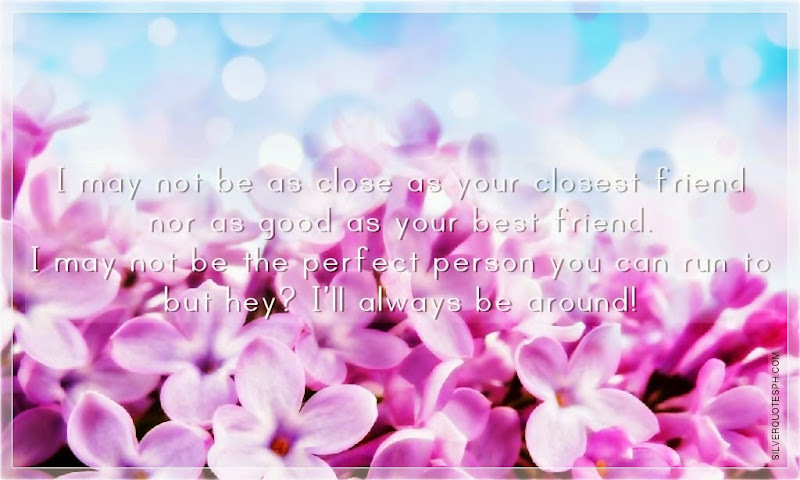 I may not be as close as your closest friend nor as good as your best friend. I may not be the perfect person you can run to but hey? I’ll always be around!